Do we, as water rescue response teams understand what it takes, mentally and physically, to make the total operation work? How do we get the most from our rescue personnel, while maintaining strict safety standards? Your beeper / Plectrum is going off, the code tells you to respond to a confirmed drowning. It is five fifteen in the afternoon, you are sitting in traffic, you have not had the easiest day at work, and now it is time to go diving. Your adrenaline picks up and you begin trying to figure out how to maneuver around the traffic. Depending on your department SOG you may respond directly to the scene or to fire! rescue /police quarters. Either way, your heart rate is up, your respirations are moving in direct proportion, and your brain is trying to out-think the situation. You arrive on scene either in your own vehicle or perhaps you were able to dress in route in the rear of the rescue rig. Dusk is right behind you. The victim’s family is on the scene, crying, and asking for your help. If your team does not have a well trained surface operations support crew, you now find yourself trying to find out what has taken place. All too often primary divers feel they need to interview the witnesses; they believe they need to know everything concerning the situation. Reality is, a well prepared operations crew can obtain all the information needed, brief the divers and put divers in the proper search area. Think about it, the divers are going to be underwater, often in black out conditions, so how can they possibly run a dive? 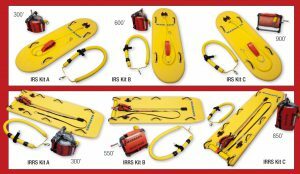 Tenders and other operational personnel should be knowledgeable enough to safely direct both underwater and shore personnel. An important question is, did you take time to prepare for the water, did you catch your breath, acclimate your face to the water, and make yourself submersion ready. Did you put your mental processes in order before you began descending, or have you simply been reacting to adrenaline ever since the tones went off? More often then not, the latter is true. The divers are mentally overloading before they even reach the water. Physical stress is not uncommon in this situation since many divers become physically stressed or even physically overwhelmed simply by putting on their dive gear. This is especially common with new or less experienced divers. 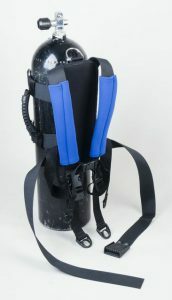 It is not uncommon for divers to become so exhausted from arriving and dressing, that they are worn out to the point that they cannot dive on this particular operation. This could simply be due to the lack of trained tenders to help them get ready. Sadly this situation is often responded to by “you need more dive time” while reality is, we may have no idea of how this diver would perform underwater, since often they have not even had the opportunity to get underwater. Maybe all they need is more time learning and practicing how to dress in their dive gear, and how to properly use a tender. The more comfortable and relaxed they are, the better they will perform. We have even found that “hangnail” divers, who seem to always have some sort of problem, often become more valuable members of the team if they learn how to dress and are allowed a cool out time to get their thoughts and body under control before entering and submerging underwater. Even the best divers need a couple of seconds to cool out and get their thoughts and breathing together prior to descending. Immerse the facial tissue, kiss the water hello, and become immersion ready. 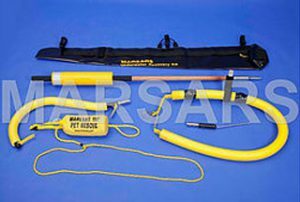 Sure it could possibly be a rescue, and you need to move quickly and confidently in a trained and prepared manner, without minor mistakes plaguing your operation. How often do little things go wrong? If you had just slowed down a little, gear problems or really simple mistakes might not have happened. All too often these little mistakes that slow everything down, or even shut down the total operation, could have been avoided if the divers were not already overloaded and rushed. Which is the better choice; slow down, allow the operations crew to do their job, and get your act together before entering the water, or push, push, push! You have not even begun to compound the situation with the stress of diving, adding in, dehydration, hypo and hyperthermia, lack of visibility, the physical stress of holding a proper and repeatable search pattern, or the mental stress of the search. Water operations need to be well planned and practiced, with all members of the team knowing what their job is, and what is expected of them. Since the dive is not planned, divers may not be physically ready. Unless the diver began the dive well hydrated he is increasing his fatigue level on every breath. Dehydration works in direct relationship to hypo and hyperthermia. 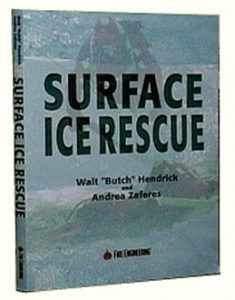 In short, physical fatigue is the dehydrated public safety diver’s dive buddy. As you put all the pieces together, including physical and mental stress, you may find you are not functioning at your best level. All of this will directly effect the overall search operation. How often have you heard of drowning victims that were found in areas where other dive teams already searched? Did they miss the body because of poor search techniques or perhaps the search diver was simply not ready mentally or physically? There could be another compounding factor besides poor skills or procedures. How long do your divers spend underwater? An efficient search time is approximately 20 to 25 minutes, (thirty minutes is on the high side) after that, divers have a tendency to lose concentration and attention spans. Searching for a body in any condition is a difficult task. Add no visibility, current, possible underwater entanglements and whatever else the environment might present that could screw up the dive search pattern or the overall operation and stress, fatigue and frustration compound by the minute. The divers might have missed the victim because of mental fatigue, physical exhaustion, hypothermia, or simply because their attention span has been overloaded. Divers need to maintain a positive attitude while searching. The tendency is to lose faith about finding the victim. Each minute of searching brings more frustration and disbelief that they will find the object. Divers need to believe that every minute is bringing them closer to finding the victim – it is not behind them, it is in front of them. The area they have secured does not need to be researched and if they do not find it, the next diver will! But even good attitudes can begin wearing thin after 25 minutes of searching. Public safety divers often exit the water looking as if they have been through a typhoon and have very little energy left. How effective could the last portion of their search have been? Are they capable of self-rescue? Are they capable of being put back in the water if necessary? Are they capable of being a back up diver? Are they capable of safely driving home? Do they believe they could have missed the item?? The fact is you may have burnt them out completely, and not used their abilities to the operations best advantage. 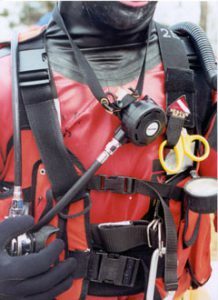 When divers are used on 20 to 25-minute profiles they are not only searching during their most effective and attentive time slot, but they are more often then not, capable of being recycled into the operation after a short re-hab. They will have a higher tendency not to miss what they are searching for if they are ready. Public safety divers are prone to stress and fatigue, and we as an industry are quick to believe we can fix that after the operation. Perhaps we need to review how mental and physical stress, combined with other contributing factors, effect the safety of our rescue personnel as well as the success of the total operation. The key to safe and successful public safety diving operations is proper procedures. Every motion, every task carried out by divers and surface support crew alike should be a planned and practiced function. Rushing or short cutting lead to physical and mental stress, exhaustion, task loading, mistakes, chaos and eventually safety hazards. Stress and fatigue can be avoided when we understand their causes.